LIFT.CONTOUR.TONE - TODAY! and have that V shaped Celebrity Jawline you've always dreamed of having! Ultralift Therapy is not a Laser treatment. It is a one time treatment that uses ultrasound to penetrate the deepest layers of the skin to stimulate collagen and elastin production. Collagen and elastin support the skin, giving it youthful contour and tone. Because of the aging process, these fibers break down and skin becomes more saggy and lax, resulting in an aged look. If you want to turn back the clock, Ultherapy is the solution. 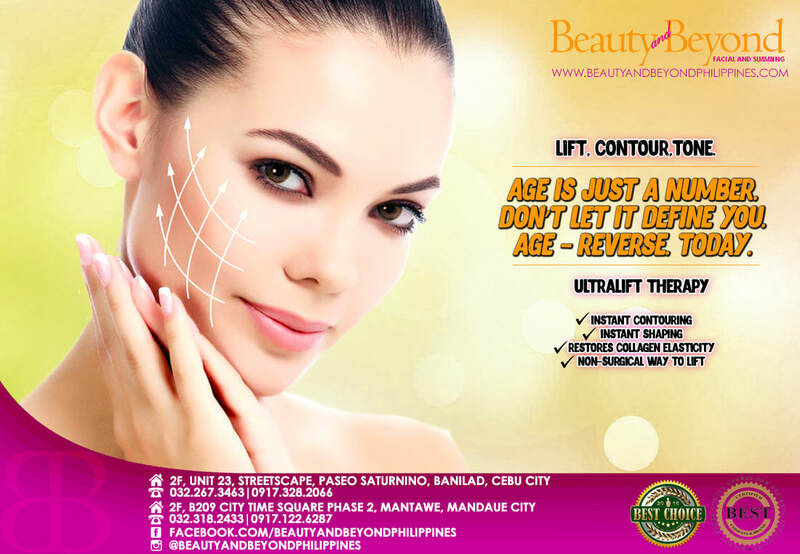 Ultralift Therapycan also tighten the skin which gives you the celebrity contoured, defined jawline and visible cheekbones you’ve always wanted. It’s a one time session that results to skin tightening and gradual lifting for the next 3-12 months. Collagen usually takes this long to develop which is why it is best to assess the skins laxity improvement and how your body responds to collagen stimulation to determine if a second session should be done. Results of the Ultralift Therapy can last from 1-3 years before repeating a session. The longevity of the results depends on your body’s ability to produce, maintain and breakdown collagen. Ultralift Therapy results two to three years reversal of aging. You can book ahead by calling the numbers above. Lines open at 1PM! At Beauty and Beyond we believe that Beauty is a Right. Not a Privilege! So be beautiful beyond measure today at #beautyandbeyond where Beauty is #affordable. #BNBTS #BNBSS — with Michael Nacis at Beauty and Beyond Philippines.